When will be Hear Me, Love Me, See Me next episode air date? Is Hear Me, Love Me, See Me renewed or cancelled? Where to countdown Hear Me, Love Me, See Me air dates? 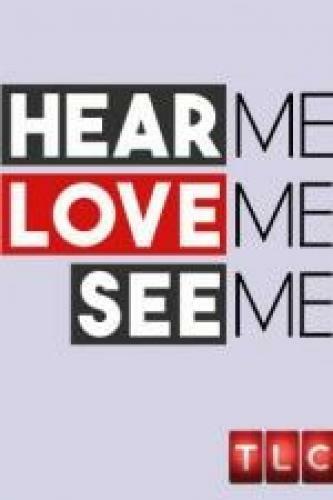 Is Hear Me, Love Me, See Me worth watching? Based on the successful international relationship format, this social experiment puts love in hyper-drive by taking physical attraction out of the equation. Each eligible bachelorette will get an unfiltered view into the lives of three single men, using only POV cameras and streaming technology. She'll see everything they see, and get to talk directly to them – but never see what they look like. At the end of the day, she must decide who has won her heart based solely on personality and emotional chemistry. Only after making her final decision, will she meet all three men face-to-face. Will her eyes follow her heart? Hear Me, Love Me, See Me next episode air date provides TVMaze for you. EpisoDate.com is your TV show guide to Countdown Hear Me, Love Me, See Me Episode Air Dates and to stay in touch with Hear Me, Love Me, See Me next episode Air Date and your others favorite TV Shows. Add the shows you like to a "Watchlist" and let the site take it from there.